More, Bigger, Better. . . blooms, vegetables and fruit! 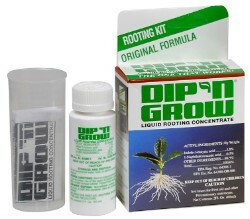 Spray-N-Grow is not a fertilizer, hormone or hydroponic nutrient solution. 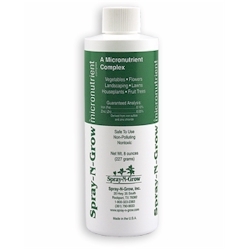 Spray-N-Grow is a foliar micronutrient complex made up of naturally occurring elements that are essential for plant growth. 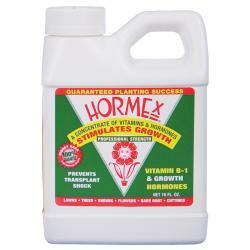 Fertilizers and nutrient solutions provide your plants with major elements necessary for plant growth. 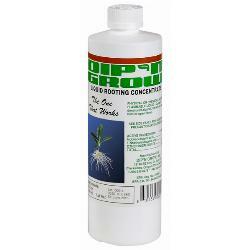 Some contain a few additional elements.Spray-N-Grow provides your plants with essential minor elements (micronutrients) not provided by your hydroponic nutrient solution.